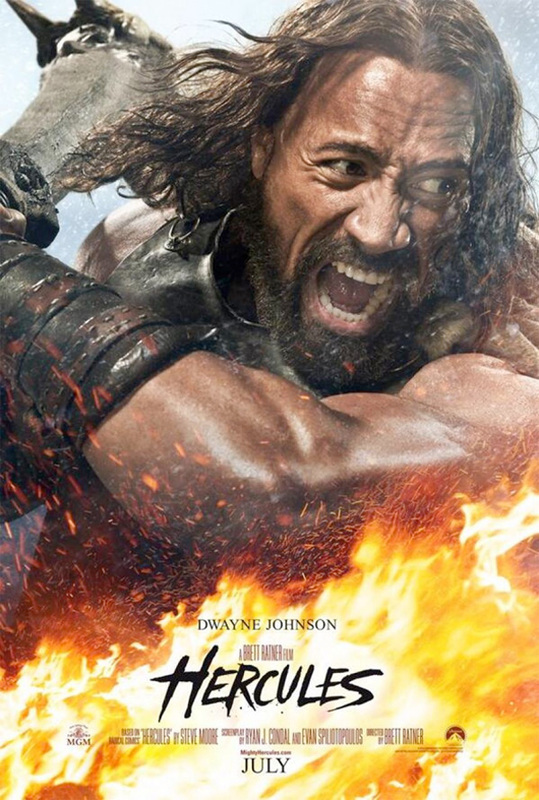 Now that The Legend of Hercules has crashed and burned, it's time to look forward to what will hopefully be a far superior version of the Greek epic starring Dwayne Johnson in the title hero role of Hercules. The only downside might be the direction of Brett Ratner (Rush Hour) behind the camera, but the teaser trailer doesn't feel like one of his films at all. Having said that, this first footage from the film isn't all that promising either, only because we don't entirely buy Johnson as Hercules as soon as he opens his mouth. The action star has been on a roll lately, and we'd love for this to be awesome, but we're not sure. Watch! "Who are youuuuuuuu!?" "I am Herculeeeeeees!" It's the cheese. That killed the entire thing for me. Just awful. There is no way that I do not enjoy this movie. The Rock has always entertained me. From my days as a teenager watching him "lay the smack down" To the Rundown to his roles in FnF. Very Excited. Yeah looks like that crappy sequel to Scorpion King that was never made until now, plus with Ratner behind the action you can guarantee a dose of motion sickness. Sorry but The Legend of Hercules is more inspired than this. Too bad it isn't a Step Up Sequel, Right? I don't know why when people heard Brett Ratner was making a Hercules movie they expected a serious movie with a good script... This looks fun, that's all it will be, no more, no less, it will be fun. It is not an Oscar contender, nor was it ever going to be. I love the Rock, but for Kevin Sorbo will always be the real Hercules! I almost heard Black Sabbath! The Rock vs. CGI animals? Wow! I didn't know they were making another sequel to The Scorpion King?? That I AM HERCULES bit was fantastic. Best comedy of the year? Those were my actually words after the dramatic titles "blazed" passed me. Iffy looking cgi aside that preview was actually pretty intense and decent up until the "I am Hercules!!!" part and the cheesy fire title text. Hopefully they put together a better cut of this preview, otherwise this could sink the movies chances of any success. I wouldn't be surprised if this preview brings out some snickers in the audience unintentionally. This Looks Awesome! Who doesn't love The Rock? And The CGI looks great, that Lion looked amazing an the flex with the sword at the end! I got Shivers! This is gonna be great.